Tropical Storm Bertha is causing disruption across the eastern Caribbean and the Bahamas. These regions are popular cruising destinations so the storm is expected to produce further headaches within the cruise industry. Carnival Cruise Lines has been affected by Bertha and has already made some adjustments to several ships. The cruise line has cancelled the Carnival Liberty’s call at Grand Turk on Sunday and has replaced the port with Nassau, Bahamas which the ship will visit on Friday. departure and arrival times have also been changed when the ship visits San Juan, St Thomas and St Maarten. 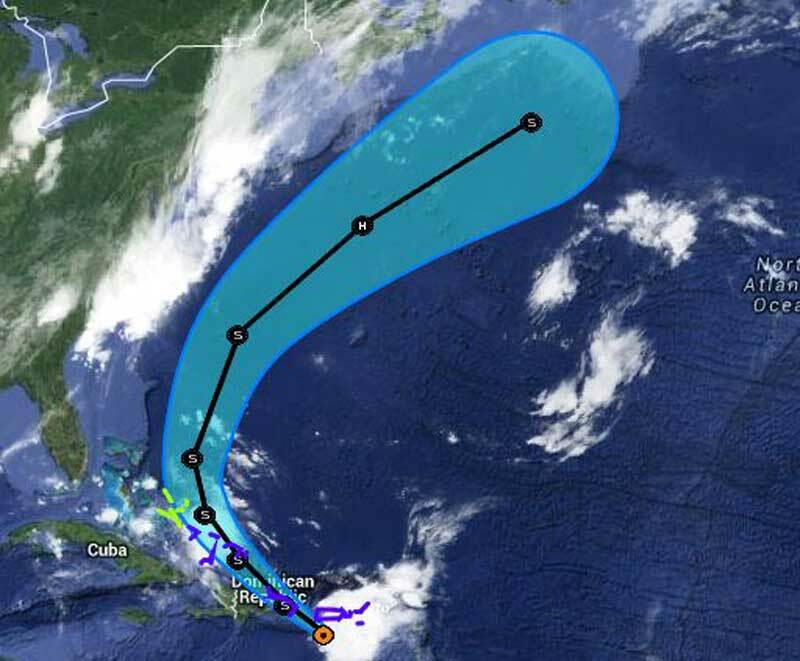 This is to ensure that the Carnival Liberty stays away from Tropical Storm Bertha for passenger and crew safety. Carnival has also announced on its site that the Carnival Valor could be affected by the storm if the port of San Juan closes on Sunday which is when the vessel is scheduled to visit the popular Caribbean destination. Tropical Storm Bertha is currently just south of Puerto Rico and is heading north-west towards Dominican Republic and then on to the Bahamas. The storm is then predicted to turn north-west away from the Caribbean and then go along the US west coats hundreds of miles away from the coastline. At the moment Bertha has maximum sustained winds of 50 mph but the bad news is that according to NOAA the storm is expected to become stronger over the coming days but then should become weaker as it goes over colder parts of the Atlantic. Cruise Hive will keep readers informed of any new cruise ship revisions as this storms develops through the Caribbean.